The following is the written testimony of OHA Assistant Secretary Dr. Kathryn Brinsfield, and S&T Under Secretary Dr. Reginald Brothers for a House Committee on Homeland Security, Subcommittee on Emergency Preparedness, Response & Communications hearing titled “Improving the Department of Homeland Security’s Biological Detection and Surveillance Programs”. The statement was released Feb. 11, 2016. Chairman McSally, Ranking Member Payne, and distinguished members of the Subcommittee, thank you for inviting us to speak with you today. We appreciate the opportunity to testify on Department of Homeland Security’s biological detection and surveillance programs. We want to thank you for your support and commitment to strengthen our Nation’s biodefense. In the fifteen years since the U.S. anthrax attacks, we have continued to face not only the threat of biological attacks but also naturally occurring disease outbreaks (e.g., avian influenza, Ebola Virus, Zika Virus), a global pandemic (e.g., H1N1 influenza), and criminal acts using biological agents (e.g., ricin). The threats and risks posed by emerging and re-emerging infectious disease and the potential research, development, acquisition, and use of biological agents by international terrorist organizations, homegrown violent extremists, and rogue states will continue to challenge our ability to warn, prepare, and protect the Homeland. The Blue Ribbon Study Panel on Biodefense’s recent National Blueprint for Biodefense made it abundantly clear that the threat of both manmade and natural biological disasters has not waned and, in fact, continues to grow and evolve. The effects of climate change, global connectivity, advances in biotechnology, and increased instability in the Middle East, Africa, and parts of Asia increase the likelihood of a biological event in the Homeland. Synthetic biology and gene editing offer the promise of great medical breakthroughs; however, they also offer rogue states, international terrorist organizations, and violent extremists similar potential to modify organisms for malicious purposes. In the same vein, naturally-emerging avian influenza outbreaks and antibiotic resistant bacteria reflect increased risk to the United States. Within 24 hours, an individual infected with a virulent, contagious, potentially-manmade pathogen can land on our shores and spark an outbreak with far reaching national or global consequences. These risks and threats have also been highlighted previously in congressional testimony from Director of National Intelligence James Clapper. In the wake of these growing threats, the Department of Homeland Security (DHS) remains fully engaged and proactive in attempting to characterize the threat, providing warning of emerging and imminent threats, and coordinating whole of government response. During the most recent Ebola Virus Disease outbreak in West Africa, DHS provided intelligence analysis to the interagency, state and local governments, and first responders, and it directed research to better characterize the threat and fill gaps in public health and operational responses. Additionally, DHS coordinated and implemented enhanced screening for more than 38,000 international passengers at five airports. The Department continues to work with state and local governments, Intelligence Community partners, and federal partners to provide predictive analysis and early warning in addition to longer-term research and development (R&D) that strengthens preparedness and response capabilities and fosters resilient communities. We must remain vigilant and innovative as biological threats continue to evolve and new threats emerge. The DHS Office of Health Affairs (OHA) and the Science and Technology Directorate (S&T) continue to lead the Department’s work with all biodefense stakeholders, from local to federal partners, to understand and meet these threats today and to be ready for the threats that will emerge tomorrow. With in-house experts including physicians, scientists, toxicologists, veterinarians, intelligence and data analysts, and first responders, the Department is positioned to address natural and manmade biological threats in our population as well as in our agriculture and wildlife. Detection and defense against biological threats, be they acts of terrorism or naturally occurring, remain important mission areas for DHS. For large scale biological events, knowledge as early as possible allows informed decisions that can save American lives. To this end, the Department’s operational biodetection and biosurveillance programs, the BioWatch Program and the National Biosurveillance Integration Center, are critical to our nation’s biodefense. The capabilities are mutually reinforcing – one provides detection of selected threats at their onset in high risk areas while the other provides public health surveillance at a broader level at later stages. Each capability is supported by a biodefense R&D portfolio in the Department dedicated to creating technology options that address identified and validated capability gaps. R&D helps the Department maintain a longer-range view and ensures operational elements are not caught off guard by emerging or new trends and threats. The Nation’s biodefense integrates numerous agencies and levels of government, and S&T’s biodefense R&D portfolio serves the full range of interagency, intergovernmental stakeholders. In addition to ongoing R&D programs with OHA, S&T’s portfolio extends to stakeholders outside the Department including protection of livestock from foreign animal diseases, support for acquisition of medical countermeasures, bioassay and diagnostic development, biological forensics programs, and biological event remediation. S&T’s biodefense R&D portfolio is grounded in coordination and close working relationships with both DHS and external partners. The BioWatch Program is the Nation’s only civilian program that provides early warning in the event of an aerosolized biological attack. The program consists of planning, preparedness, exercising, training, and early detection capabilities. Deployed at more than 30 major metropolitan areas throughout the country, the system is a collaborative effort of health professionals at all levels of government. The program is operated by a team comprised of field operators, laboratory technicians, and public health officials from city, county, state, and federal organizations. Each hour gained through early detection and before the onset of medical symptoms, improves the chances that response efforts will be successful. The BioWatch Program has succeeded in bringing together state and local public health, first responders, and law enforcement personnel, along with locally-deployed federal officials, resulting in communities that are better prepared not only for a biological attack, but also for an all-hazards response. The current system has been, and will continue to be, extensively tested, and the program is advancing plans and building capabilities in early detection and situational awareness. BioWatch builds the collective capabilities across all levels of government to effectively and rapidly mobilize in response to an attack, mitigating the impacts of a catastrophic bioterrorism event. The BioWatch Program is a critical component of our Nation’s response to minimize the impacts of a biological attack. The Department appreciates the Government Accountability Office (GAO) report and recommendations on the path forward for the BioWatch Program. GAO clearly recognizes the unique challenges for this system which was rolled out with the best available technology in 2003 to respond to an urgent threat. The relevant technical capabilities available to adversaries have only increased since then, as biotechnologies have continued their global development and dissemination. So the need for BioWatch persists. In the past two years, the capabilities of the system have been independently tested and validated. Four independent tests have been conducted over the last six years that have tested all components of the BioWatch system. This has included extensive testing of our identification assays (laboratory tests that detect selected biological agents), subsystem and system level testing in test chambers using actual threat agents, and open-air testing of simulated agents in as near an operational environment as possible. In addition, the BioWatch Quality Assurance Program has analyzed over 30,400 samples to monitor operations against performance benchmarks and requirements. The results of these tests reinforce confidence in the system’s ability to achieve its mission: detecting a large-scale aerosol release of specific threat agents in our Nation’s most populated areas. The system’s capability to detect biological agents was further affirmed last year when BioWatch detected the subtype of Francisella tularensis that is pathogenic to humans during confirmed occurrences of that strain of Tularemia in Denver, Colorado. Though the agent was not disseminated by an adversary, these detections took place during a documented uptick in naturally occurring disease. By analyzing available medical surveillance data and discussing the BioWatch detections through the BioWatch National Conference Call, local, state, and federal officials were provided with additional data for decision support in responding to this occurrence of Tularemia. This shows that the BioWatch Program is able to detect an airborne biological agent in the environment. The BioWatch Program is more than just an environmental detection system. BioWatch also helps strengthen jurisdictional preparedness in the event of a bioterrorism event through coordinating exercises and drills; providing training, guidance and assessments, and standardized methodologies for response; and by enabling a forum for all levels of government to share data and information. Over 500 state and local partners and stakeholders representing a broad cross section of government agencies have participated in BioWatch preparedness activities in the last year. BioWatch has also coordinated environmental assessment activities, including developing initial environmental sampling plans for jurisdictions to help characterize an attack. All of the program’s key elements – including response – are supported by a number of federal departments and agencies, such as the Department of Health and Human Services (HHS) including the Centers for Disease Control and Prevention (CDC), Department of Defense (DOD), Environmental Protection Agency, and Federal Bureau of Investigation. BioWatch also supports major events such as Super Bowls and National Special Security Events (e.g., 2015 papal visit to three U.S. cities). Since 2014, BioWatch has been working with DHS S&T, DOD, and other federal partners to identify technologies that would substantially improve BioWatch operations. These improvements are intended to advance the current “detect to treat” capability, which will enable us to deploy medical countermeasures before the affected population is symptomatic. Additionally, BioWatch and the National Biosurveillance Integration Center are working together to improve situational awareness at all levels of government in the event of a biological attack. Given the evolving threats that our Nation faces, both manmade and natural, greater coordination among federal, state, local, tribal, and territorial partners is required. NBIC is uniquely situated within DHS to provide a fusion of human health, animal health, and environmental data to develop a comprehensive understanding of the biological threat landscape and emerging incidents to ensure our Nation’s decision-makers have timely, accurate, and actionable information. Established in 2004 and transitioned to OHA in 2007, the NBIC’s mission is to enable early warning and shared situational awareness of acute biological events and support better decisions through rapid identification, characterization, localization, and tracking for biological events of national significance. To accomplish this, NBIC monitors thousands of data sources and leverages the expertise of fourteen federal departments and agencies, then integrates this array of information into reports on global and national biological incidents that could potentially cause economic damage, social disruption, or loss of life. Over 900 federal and 1,500 state, local, tribal, and territorial offices across this spectrum of human, animal, and environmental health and response have access to NBIC’s reports and analysis. We are cognizant that reports by the GAO and the Blue Ribbon Panel on Biodefense have acknowledged the progress that NBIC has made delivering daily situational awareness to our partners, but have pointed out that we still have work to do to fully realize the vision of comprehensive biosurveillance integration. Towards this end, NBIC is working with the Department of Veterans Affairs on a data initiative that will help to create an aggregated national view of disease trends, while also facilitating understanding of those trends in our veteran population. Similarly, NBIC is working with DOD’s Defense Threat Reduction Agency to deploy new collaboration and analytic tools that will enable biosurveillance analysts from across the government to collaboratively examine and report on emerging biological threats. NBIC’s efforts are also focused on biosurveillance tools and reporting for local officials so that they can address the biological incidents emerging in their own communities, while strengthening national surveillance as a whole. NBIC will continue to advance its capacity to conduct biosurveillance reporting and analysis by developing new collaboration tools, pursuing innovative data sources and methods, and fostering greater stakeholder engagement. S&T’s Chemical and Biological Defense Division conducts R&D across four primary focus areas benefitting numerous interagency and intergovernmental biodefense stakeholders and end users. Threat awareness R&D informs the Department of Health and Human Services’ medical countermeasure acquisition programs for the Strategic National Stockpile. Surveillance R&D is examining capabilities that could support DHS OHA and the Department of Agriculture in improving the nation’s ability to quickly identify chemical and biological events threatening human and livestock animal populations. Detection and Diagnostics is supporting the CDC, Department of Agriculture, and DHS OHA on the development of new biological sensors for rapid detection of threat agent releases as well as bioassays for improved identification of pathogens in clinical and environmental settings. Finally, S&T’s Response and Recovery programs help law enforcement to identify sources of chemical and biological attack events (forensics and attribution) and major metropolitan transit authorities and the Environmental Protection Agency to remediate and decontaminate after a biological attack. 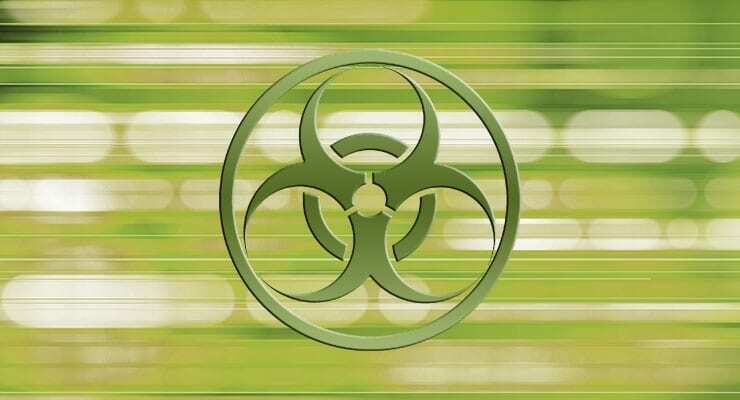 Within S&T’s biodefense portfolio, one reflection of R&D serving the Department’s biodefense mission and specific language was last year’s establishment of the Biosurveillance Apex project. Apex projects represent some of the S&T’s most ambitious, strategically-urgent R&D investments, and the Biosurveillance Apex will spur short, medium, and long term development and delivery of technology improvements to these essential operational programs. The R&D community within DHS maintains strong links to academia, national laboratories, and other R&D organizations to allow rapid transition of mature technologies and identification of further R&D to support promising new systems. S&T leverages that expertise to address technical gaps and needed enhancements by DHS Components. Last year, Secretary Johnson directed establishment of Integrated Product Teams (IPTs) calling for a central mechanism for the Department to identify and coordinate R&D. Specifically called for in the Secretary’s memo was an IPT on Biological Threat to identify priority capability gaps in biodefense (e.g., needs for better predictive models and algorithms for response, decision support tools during events, better personnel protective equipment) and R&D efforts that address those gaps. The solutions developed will deliver new and improved capabilities, such as new bioassays for detection to our public health partners. The Biological Threat IPT is co-chaired by the Federal Emergency Management Agency and OHA and serves as a platform to jointly assess challenges and prioritize solutions, ultimately determining how we will conduct faster threat detection and response for a greater proportion of the population as well as predict the path and severity of emerging disease outbreaks. Key stakeholders in all our programs are state and local partners. OHA engages with the Association of State and Territorial Health Officials, the National Association of County and City Health Officials, and the Institute of Medicine, to leverage established working groups and information sharing mechanisms for direct engagement with state and local public health officials. This engagement allows for state and local health officials to maintain awareness of, and provide expertise, feedback, and support to, OHA activities, including the BioWatch and NBIC programs. OHA continues to seek ways to support the first responder community in its preparation and response to biological events. One initiative we are developing is the First Responder Vaccine Initiative (FRVI), which is developing the infrastructure for an anthrax vaccination pilot to evaluate the feasibility of a voluntary pre-event anthrax vaccination program among first responders using anthrax vaccine scheduled to rotate out of the CDC’s Strategic National Stockpile in at least two states. DHS is facilitating transfer of the vaccine from CDC to the states. Since the standup of the Department, we have worked hard to strengthen our Nation’s biodefense. We acknowledge and appreciate GAO’s efforts to highlight areas for improvement in the Department’s biodefense programs. We are committed to working with our partners and look forward to the Subcommittee’s continuing help building and refining these robust programs. We appreciate the Subcommittee for keeping this issue at the forefront and for your continued support to biodefense and homeland security.